Many times as a marriage counselor, I have heard the phrase “he just doesn’t care about me.” Of course there have been many different variations of that phrase, but each time the same thing is meant…“We are not connected emotionally.” Emotional intimacy is one area of intimacy that is the hardest to achieve. There are a couple of reasons for this difficulty. Most men are afraid of emotions. As young boys, we were taught that big boys don’t cry. We have been led to believe that we are not supposed to show emotion at any time. Therefore, we do not know how to handle the different aspects of our emotional lives. Men and women think differently. Most of the time, men think logically or at least with the analytical side of their brains. Women, for the most part, think emotionally. Women actually have the ability to function with both sides of their brains at the same time. Men do not have that ability. Women can have a tendency to rely on their emotions, while men tend to ignore their emotions. Empathy is the word that keeps coming to my mind as I think about Emotional Intimacy. dictionary.com identifies empathy as “the intellectual identification with or vicarious experiencing of the feelings, thoughts, or attitudes of another.” In other words, empathy means “I know what you are feeling and I am feeling that with you.” This meaning is different than the word sympathy. Sympathy means “I’m feeling for you.” You can sympathize with someone without feeling empathy. Your sympathy does not always lead to an emotional connection nor does it enhance a relationship. Empathy will do both. How can we find this emotional connection? How can we develop emotional intimacy? Create a safe environment for your spouse to share emotions. 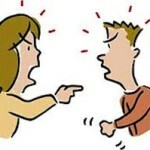 If you get mad at your spouse when he/she is upset, then you are not safe to be emotional around. If you r spouse shares something that is bothering him/her, you cannot become defensive. When you show defensiveness, you are telling your mate that you do not care about their feelings. Wives need emotional security. They need to know that they are loved in spite of their feelings or emotions on that particular day. Learn to listen between the lines. 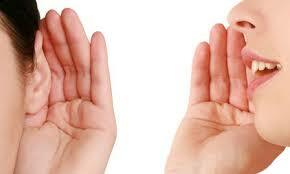 Listen for the tone of voice and watch the body language of your mate. Much of our emotions can be seen in those two areas of communication. Our words do not make up the majority of our speech, that is why it is imperative that we learn to listen for more than just the words. Listen for understanding…not just to answer back. We, both men and women, can be guilty of listening just enough to know what we want to say next. 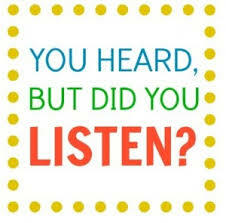 When we are doing this, we are not truly listening. We can not understand our mate without listening with our whole self. Learn to care about what your mate cares about. This point is trying at times. We are opposites many times. We like different things. We want to do different things. We know about different things. If we want to be emotionally connected, we have to learn about the issues that are important to our spouse. Ask questions about whatever is important…”why is this important to you?” “Can you explain this subject so that I might be able to understand?” “Can you teach me?” Do not do this sarcastically, but rather be genuine. Learn to express yourself around your mate. No one can read the other person’s mind. I know that the longer we are together, it seems that my wife can read my mind. She actually answers some of my questions before I can finish asking them. But I know that she cannot read my mind. I have to learn to be open and honest about what I am thinking or feeling. The same is true going the other way as well. She has to be open with me about her feelings. These five steps seem to be simple enough, right? They take a lot of time and effort on your part to truly connect with your marriage partner. Start working on these steps. Ask where you have fallen short. Listen for an honest answer, without any defense. You will begin to connect in ways that can and will transform your marriage. How do you try to connect emotionally with your spouse? Have you ever heard statements like these? Or have you ever said anything like these? Too many times in my practice I have heard these statements or something very similar. People make these type of statements out of frustration, aggravation, and anger. They are trying to communicate the emotional differences between the husband and the wife. Obviously, the differences are vast. Generally speaking, women are more emotional than men while men are more logical or analytical. Most of the time women are more relational than men while men are more competitive. (again generally speaking) Men like action while women like romance. I could go on about the differences between men and women because as I said they are vast. But this is not to point out the differences, but it is to show the need for empathy in marriage. 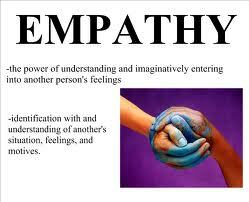 Empathy is very difficult for many people and yet it is the deepest form of understanding there is. While sympathy says “I care about you,” empathy says “I care with you.” In a marriage relationship, caring with your spouse about the different issues in life is paramount for the relationship to grow and thrive. In our marriage, we never want to feel that we are just surviving. One way for that to happen is to feel that our spouse is being empathetic. How can we become empathetic? Ask questions for understanding. Asking questions is a very good tool to use in order to understand the person you are talking to better. In order to empathize with someone, you must understand them first. Validate the other person. Even if you do not agree with how the person feels about the situation, you still need to let them know that they are important to you. This action will also go a long way in showing empathy. Learn to accept the emotion of your spouse. This step is very difficult for men. The only emotion men really know how to show is anger and that most of the time is shown inappropriately. Romans 12:15 (NASB95) 15 Rejoice with those who rejoice, and weep with those who weep. This verse shows us that we can share each other’s emotions even if we do not fully understand them. This step takes practice and patience. I believe that if we truly care about our spouse, we will be willing to work toward this important step. Finally, commit to the love that you have for your spouse. So many times we do become selfish and self-centered. When our spouse is upset at us or something that we don’t think they should be upset about, we have to remember that we love this person and they are very important to us. When we begin to work at thinking this way, we can learn to empathize. When we learn to empathize with our spouse, our relationship will grow in its intimacy. Emotional intimacy is a level of intimacy that can and will affect all other levels of intimacy. Empathy can be learned by anyone if the time and effort is put forth. 4. previous notion; slight previous impression. 5. intuition, foreknowledge, or prescience. Anticipation is a wonderful feeling but there are times that it carries some idea of fear. As I am writing this today, I think about some of the times that I have felt the emotion of anticipation the most in my life. I remember some of the Christmases as a small boy always wondering what would be in the packages all wrapped in festive paper with bows on them. I, along with my sisters, would sit and guess what was in the ones with our names on them. Those are some fond memories of anticipating the big day that we would get to open the gifts and see if we were right or if the surprise would be even better. I remember the days leading up to my wedding and anticipating the journey that was in front of me called “married life.” I remember being nervous and yet excited all at the same time. I had questions so many questions that were unanswered by anyone and yet the anticipation was driving me to continue on the journey in front of me.I remember the birth of my children and the anticipation that was all around those days. Wondering when my wife would go into labor…Wondering if I would be a good dad…Wondering if my kids would be healthy…Wondering how my life was going to change…What Great Anticipation!! Many times in scripture before God does something that only He can do, He causes people to see their own inadequacies just so they will recognize God as the author of what is happening. I have been thinking about the disciples as they were with Jesus in John 11. Jesus was told his friend Lazarus was sick. So instead of getting up to go to Bethany, Jesus stayed where He was for two days. He told the disciples that Lazarus’ illness was for the glory of God. This is where I begin to add my thoughts about what the disciples were thinking at this time. When Jesus said it was time to go to Judea, His followers began to question what He was doing. Jesus tried to share with them what He was going to do, but no one understood. As they journeyed to the town of Bethany, can you imagine the anticipation of what was next? They were afraid of the Jewish leaders and therefore, afraid that they might die. They loved Jesus and believed that Jesus was going to do something special, but they had no idea of what it was going to be. Even up to the point of Jesus telling Mary and Martha that He was the Resurrection, no one understood He was about the resurrect Lazarus. He had been dead for four days…Martha said that there would be a stench…Could Jesus really do something with a dead man? You know the end of this story. Jesus called Lazarus out of the grave and he lived again. Was what Jesus did on that day greater than what anyone else thought He could do? Was there an excitement that followed this wonderful miracle? Of course to both of these questions!!! You see anticipation carries with it expectation of something special happening. It also carries with it fear of change. I have both today. Am I ready to see the miracle today? Am I prepared for the work that God is going to do so that He gets the glory? What an anticipation of what God is going to do!!!! Do you feel it? Are you ready? I would love to hear your thoughts today.